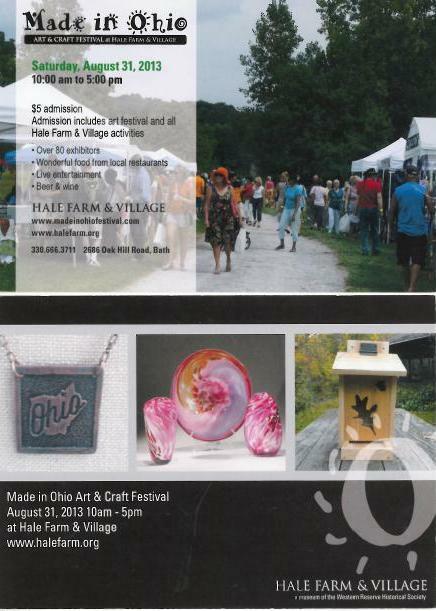 Made in Ohio will be held on Saturday, August 31 from 10am to 5pm at Hale Farm and Village. There is a small admission fee at the gate. 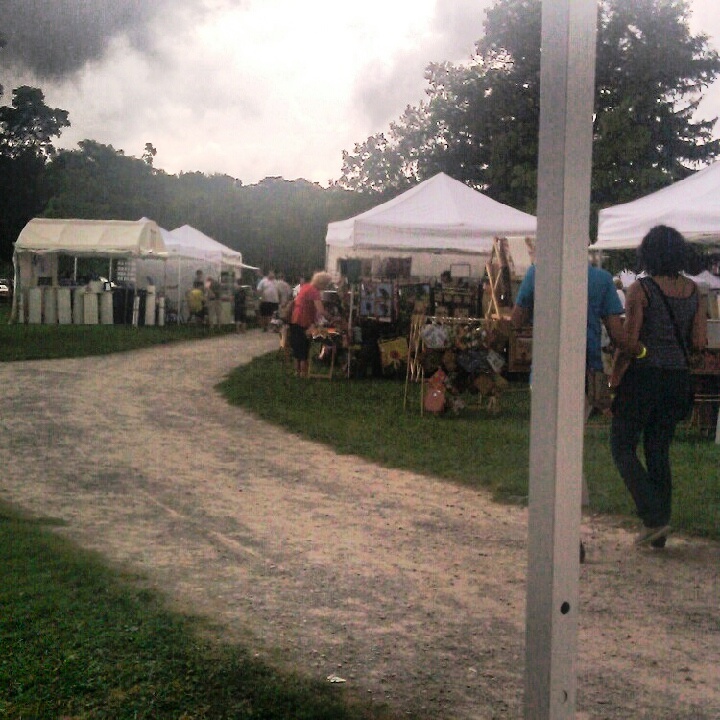 Less than two weeks away from Made in Ohio Festival at Hale Farm and Village. If you have not been to Hale, know it is run and managed by Western Reserve Historical Society, and includes an 18th century village replete with villages in character, and craftspeople working trades of that period… basket weavers, potters, candle makers, and the like. For this one day Hale comes to life with the works of over 100 artists and craftspeople, and we are so blessed to be a part of the activity. Last year we were neighbors to a gal that sews amazing aprons, and activity smocks for kids. I so much wanted to be a kid and have one of those smocks… with holsters for each of your crayons, and tools… wow. On the other side was an amazing silver smith who crafted delicate pieces of jewelry with precision and expertise. We are looking forward to a wonderful day, and know that the venue is special. We understand that the Cuyahoga Valley Line is also shuttling patrons to the farm that day… so make it a special day out, and come visit us.